The rank of five-star general is an honor bestowed upon very few. In fact, you can name them on one hand: George C. Marshall, Douglas MacArthur, Dwight D. Eisenhower, Henry “Hap” Arnold, and Omar Bradley. Hap Arnold was actually general of both the Army and the Air Force, making him the only man to ever hold both titles. But that doesn’t make him the highest-ranking military official. That honor belongs to a man who has been dead for more than 200 years. On July 4, 1976, the nation’s bicentennial, George Washington was posthumously promoted to General of the Armies of the United States. 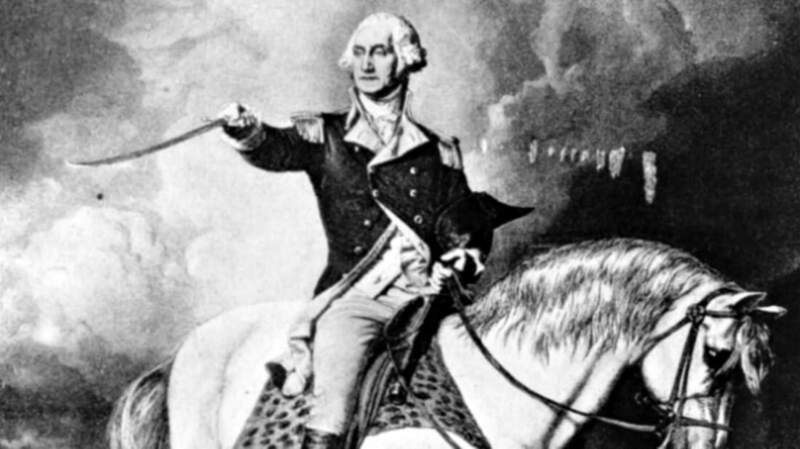 When Washington actually served in the army, he was a merely a major general—two stars. After his presidency, John Adams promoted him to lieutenant general—three stars. It stayed that way for centuries, with every four- and five-star general who came afterward outranking him. After his WWI successes, General John J. Pershing was actually the first to be deemed General of the Armies of the United States. Because the five-star rank had yet to be created, however, Pershing remained a four-star general (his four-star insignia was gold rather than the traditional silver, though). The five-star designation was created in 1944, but the War Department specified that Pershing was still to be considered the highest-ranking official in the military. Technically, the law decreeing that no military official could outrank Washington didn’t specifically grant a six-star general designation. But some argue Washington’s ascension to such a rank means exactly that, and newspapers even reported it as such back in 1976. Either way, of course, the law’s intent is purely symbolic (unless that whole zombie apocalypse thing really happens). But one thing’s for sure: Without Washington, the Fourth of July might just be the fourth of July, and no other military official will ever be able to top that.